Always ready at hand these tackers are designed with the minimum of parts to enhance reliability and reduce weight which, combined with a robust chassis and body materials, result in the tools delivering maximum durability. Our range of semi-pro and professional models are small, fast and lightweight. 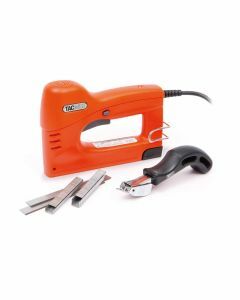 An ideal step-up from manual hand tackers, these compact electric tackers are highly balanced with an ergonomic design that makes repetitive stapling tasks easy and comfortable. 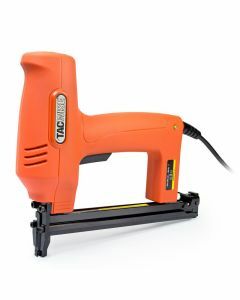 Perfect for applications including upholstery, insulation, picture framing, wire fencing carpeting and more.